Crazy Beginnings: YAY! I am so FRIGGIN' HaPpY! YAY! I am so FRIGGIN' HaPpY! LOL! I dunno, but somehow, something makes me so , so bloody happy! 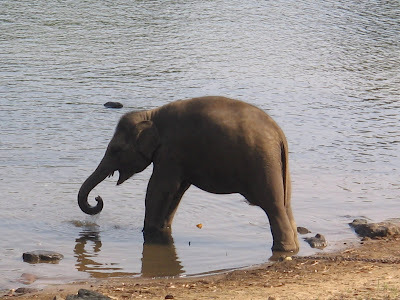 This is a cute picture of a baby elephant i clicked in , Coorg , again! :) I love the carefree , happy picture! Holi - Is it Holy Anymore?